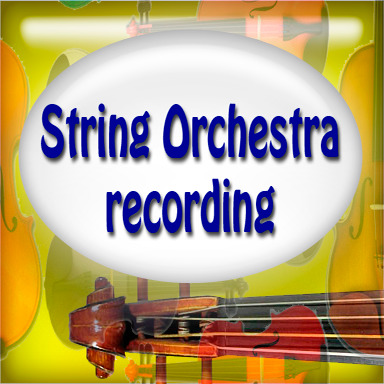 String Orchestra recording (Xtrings Studio fee included). Violins A, Violins B, Violas and Cellos. Real string orchestra sound with real musicians. Please, send the arrangement in individual charts (PDFs). No arrangement? We can make one for you at a super price!